Translate any words and phrases from your iPhone. 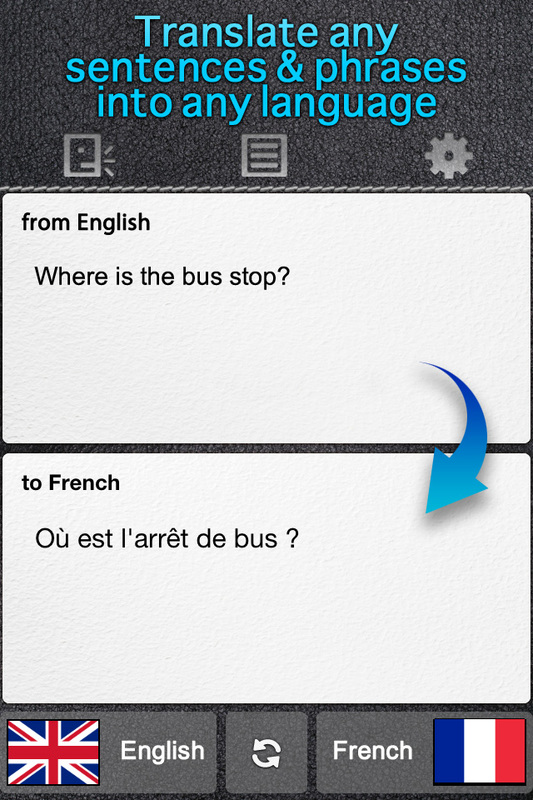 The Translator allows you to translate words and phrases between two different languages. Select the languages you plan to translate between then press 'Translate' button. This application provides a language translation function for many languages including Chinese, Danish, Dutch, English, French, German, Italian, Japanese, Korean, Polish, Portuguese, Russian, Spanish and many others. Enjoy a full set of useful add-on features such as history tracking and integrated SMS/e-mail support.